Discussion in 'Are you new to ReligiousForums.com?' started by Keira, Jan 6, 2019. I was hoping someone could help me decipher this script. It may say, "In case of choking, strike here." But my Sanskrit is a bit rusty. Anyway, greetings and salutations. I hope you enjoy the forum. 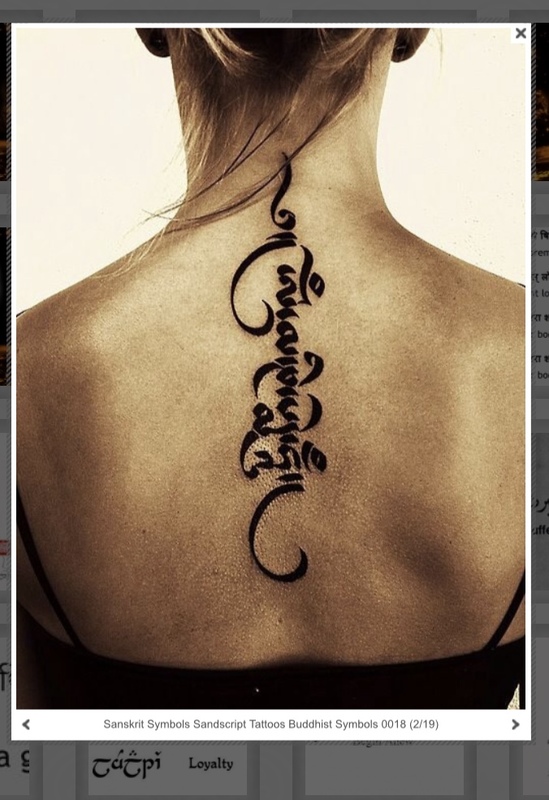 It doesn't look like Sanskrit. I agree. In fact I'd say it's definitely not Sanskrit. 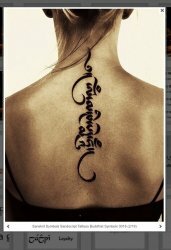 It's just a guess, but it looks like drutsa, a calligraphic Tibetan script that's apparently become popular for tattoos. No, I can't read it. If I can read Sanskrit? I don’t know. i never tried. I can't tell you what it is, but I can tell you what it's not... Sanskrit. This is Sanskrit जयनारायण - Jayanārāyaṇa, the actual spelling and pronunciation of my name. हरे कृष्ण हरे राम Hare Krishna Hare Rāma. Big difference in the script from that in the picture. I hope you have not been duped by someone claiming it to be sanskrit. Do be careful. That means "Where is he?"